Come and train with us in the beautiful sunny French Alps on one of Alpine Action Adventures legendary Boot Camps – let us change your mind-set, not just your waistline. We’ll provide the gorgeous Alpine mountain views, the healthy food, the full fitness training programme and we’ll even pick you up from the airport. You simply turn up, motivated to make positive changes to your mind and body. All you need to organise are your flights – we’ve got the rest covered. Book our long Weekend Boot Camps for just £525 – arriving Thursday and leaving Monday lunchtime. All-inclusive, there’s no contest – book with us today! With an in-house nutritionist, military qualified fitness training instructors and an amazing Alpine setting, our aim is that you shed pounds & inches AND leave with a new ethos, putting the shine back on your life. 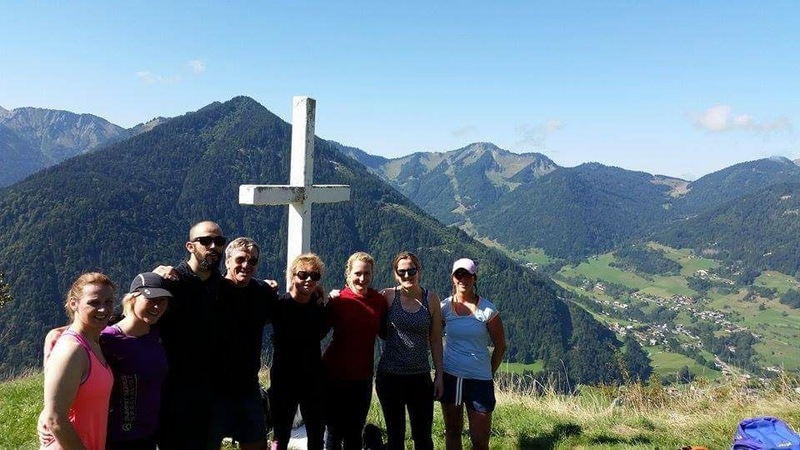 The weekend will consist of early morning training sessions, circuit training, long walks in the Alps, fitness and cookery workshops and all in incredible settings. Our group sizes at Boot Camps are kept small to ensure you get the most out of your personal training, all our fitness training programmes are tailored to your individual needs. Rise at 7am for your first Personal Training session – high intensity circuits on site at the Chalet followed by a healthy and nutritious breakfast of fresh fruits, fat free greek yoghurt with honey and toasted almonds, before heading out onto the mountain for a breath-taking 3 hour hike across mixed Alpine terrain powered by energy boosting homemade flapjacks on route. Lunch is served back at the chalet before an afternoon at beautiful Lake Montriond, near Morzine, where you can choose your activity from open water swimming, hiking or jogging. Dinner of chunky homemade humus, roasted veg & mango chutney pittas with a green salad and homemade tzatziki, is well deserved and delicious and after eating you have the hot tub, sauna and optional massages to help you relax and repair ready for the next day of activity.